Secure your exclusive new home building franchise territory today! A snapshot of our expertise, services and building franchise opportunities, the Ebrochure is our digital calling card to take with you and share with your friends. Every Franchise is an independently owned company operated by a licensed builder who contracts directly with clients offering homes in an exclusive building territory. 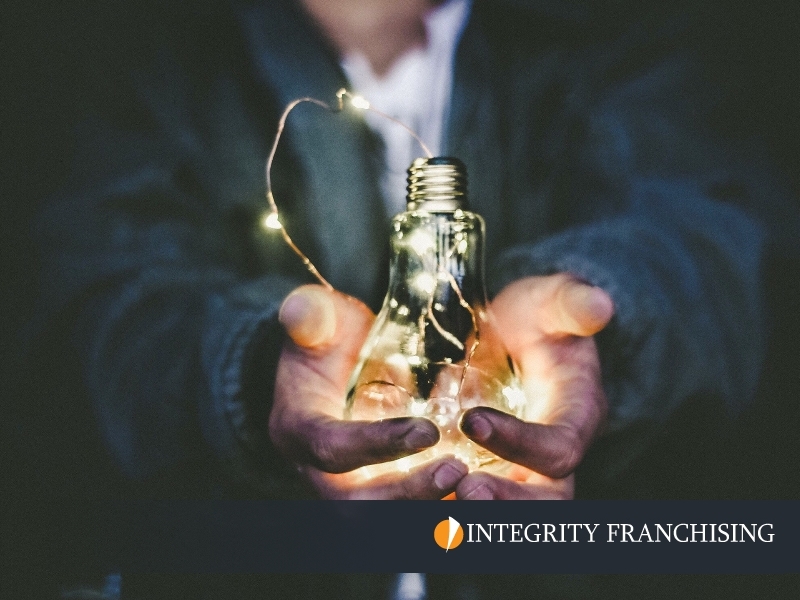 Each Franchisee has the flexibility, with help from the Franchisor, to make changes to the Integrity Franchise System to suit individual regional market requirements. An Integrity New Homes franchise with a lifetime term and rapid estimating software will help you to build your business revenue and profitability. We will help you to grow your profitability; improve your purchasing; provide sales and marketing materials; provide access to hundreds of designs for steep and flat blocks; systemize your business and recover your lifestyle today. Integrity has created a new home franchising "product" incorporating iGyro™ as the operating platform, from which every necessary element of a building company can be delivered. 10 STEPS to achieve your lifestyle goals with your BUILDING BUSINESS. Our guide will provide tips on how to systemise your business. 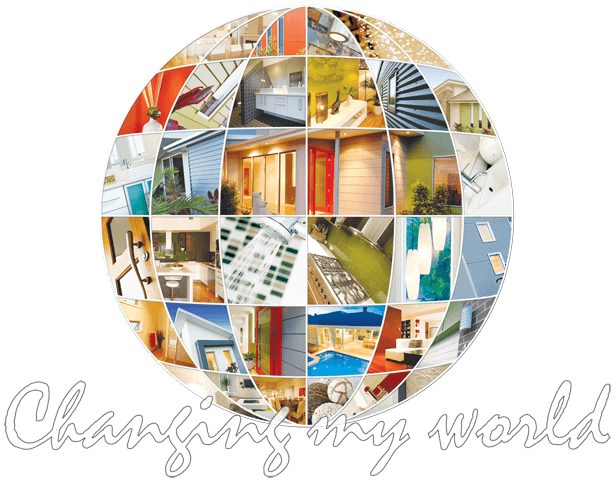 A DIVERSE MULTI-FACETED PROPERTY INDUSTRY POWERHOUSE! Integrity Franchising is one of a number of companies operating under the Integrity Group umbrella. 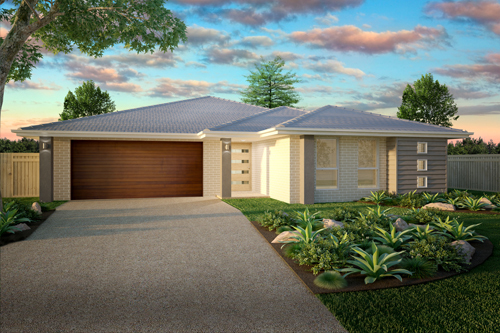 Collectively, the Integrity Group is a multi-faceted Australian property entity involved in the design and construction on flat and sloping land of: new residential homes, units, townhouses and medium density projects; residential and commercial renovations; commercial building projects; real estate; residential investment construction; and land development. And yes, unlike some franchise building companies, Integrity New Homes, actually build and renovate new homes. We are at the “coal face” every day facing the same regulatory, consumer and industry challenges as our franchisees. More importantly Integrity creates relevant and viable solutions to these challenges and shares this with our franchisees including providing training and back-up support. This for example, is how Integrity developed the in-house rapid and accurate sales estimating package titled iProx™, the computerised iDule project management system and the building company management software system called iGryo™. There has been a rush of enquiry from people wanting building construction business information from Integrity New Homes in the past few weeks. Many of these builders have been seeking a construction company for sale but have found that a building franchise with Integrity offers a raft of benefits. 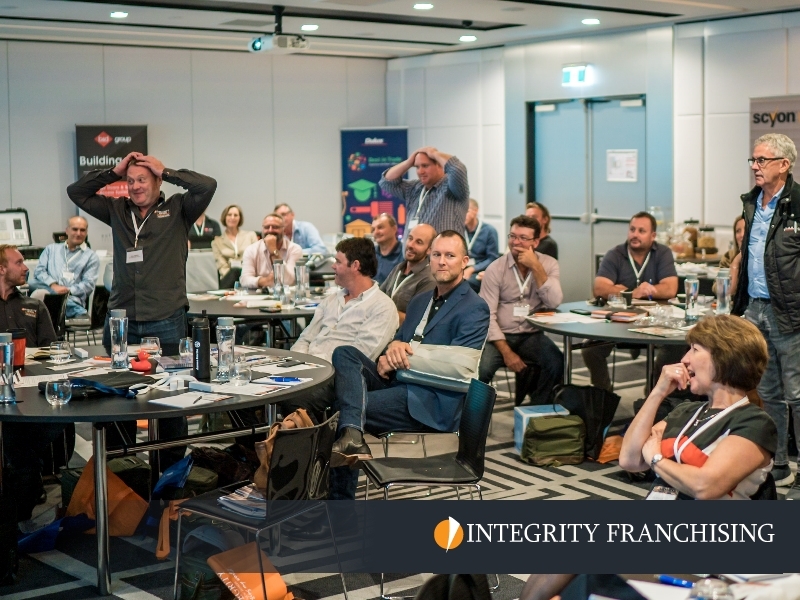 Integrity Franchising successfully hosted our National Conference in Mascot, Sydney last week and the event was thoroughly enjoyed by all delegates and sponsors.Builders from all over Australia were represented and enjoyed a day discussing business goals, systemisation improvements, software integrations and highlights from a busy year in residential construction.A focus of the conference is on networking and builders (often husband and wife) benefited from sharing their wins and lessons with others throughout the day.James Hardie again took the Gold sponsorship opportunity and were supported by a range of other suppliers including CSR, PGH &amp; Dulux.&nbsp;Contact Integrity Franchising for more information on 02 8005 3875 or use our contact form. Many small to medium sized building companies would benefit from access to the proven systems and software of a high-volume builder.A building franchise from Integrity New Homes offers a comprehensive and complete range of features and benefits including; construction software; simple construction project management software; national supplier agreements; proven range of home designs; extensive selection of documentation; search engine optimised web sites; and proven sales and marketing techniques and resources.The franchise network also works together to assist each other and also make suggestions for improvements for the benefit of the group.Contact Integrity Franchising for more information on 02 8005 3875 or use our contact form.